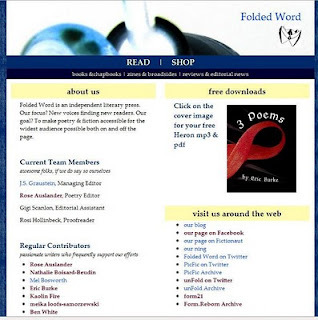 The fine people of Folded Word Press have kicked open the door to novel submissions. Learn more HERE. And it's NBA Playoff time. Summer is nigh. NIGH! Thanks for the shout, Mel! No No No! Thank YOU! I wish I had something ready to submit.